You’ve heard magazine after magazine and website after website proclaim knitting to be the new yoga. 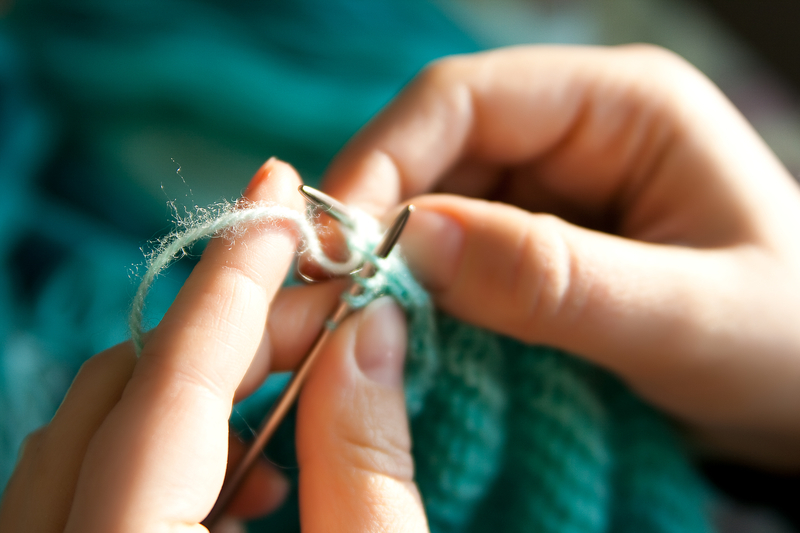 You’ve heard of all the benefits of knitting for you and your family and friends. And you’ve seen all those cute hats, those beautiful shawls and adorable children’s clothes you could be making. And now you want to give it a try yourself? But where do you start? 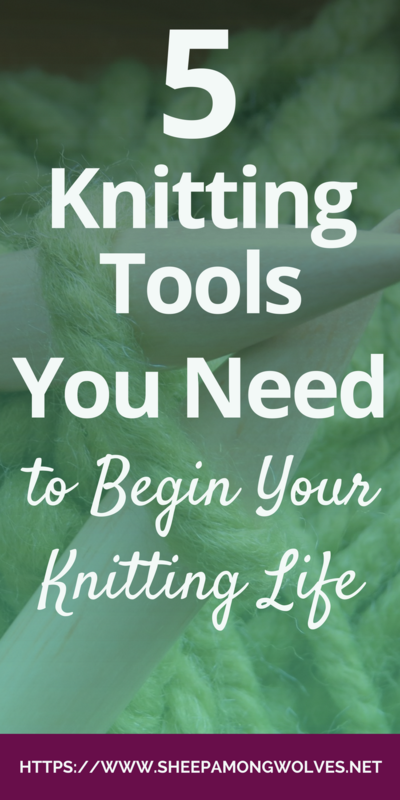 The first thing you need to do is get your hands on some knitting tools. You could join a knitting group and borrow something from them. The good thing about that method is that you have someone there to show you how to cast on and knit in person. Not everyone can learn well how to do something by watching a video or reading a book. Or visit your local yarn store (LYS), they’ll be happy to set you up and even show you the basics of knitting. If you don’t know where an LYS may be hiding try a google search for one or go to the yarn section on Ravelry. 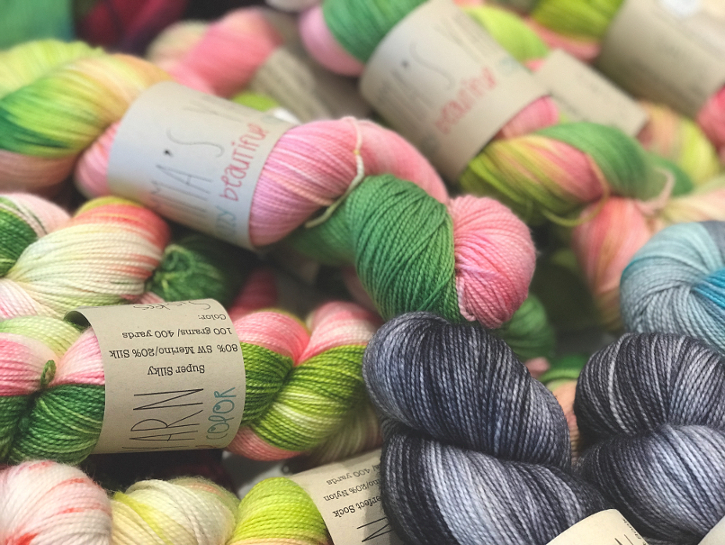 Right underneath the Popular New Yarn box are a search box and a link to yarn stores near you (you need to be logged in, of course). You want to know what you need before you go out to get started? Then read on, that’s what I’m here for. Of course, you’ll need needles. I would advise starting with a good set of wooden or bamboo knitting needles with a smooth finish in a medium size. Around 4 or 4.5 mm (US size 6 or 7). They aren’t too thin and fiddly but also not too thick and unwieldy. It’s also a pretty common size you’ll be able to use for lots of projects. Wooden needles are great for beginners because they have a bit more grip. The stitches won’t slide off the needles as easily. I suggest a smooth finish so the yarn won’t snag and is easier to handle. 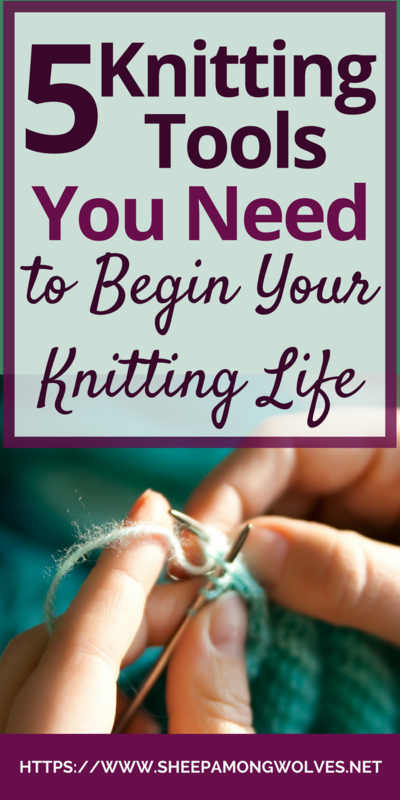 Most beginners start out with straight single point needles. They are a good choice because you only have one end to consider that the stitches can slide off of. But stay away from very long ones and look for a shorter or medium length pair. They’ll be lighter on your untrained wrists and easier to handle. You could also try out knitting on circular needles right away. As with the single point needles, circulars also keep your stitches safe and I don’t think they are more difficult to learn how to use than straight needles. Only buy needles of good quality. KnitPro (*) (basically the same as Knitter’s Pride), Addi (*) or ChiaGoo (*) for example (there are more companies of course but I can only talk about those I’ve tried before) produce good quality needles. They are durable, smooth and comfortable to use and all a good choice for a beginner. If you want to know more about needles check out my posts on needle type and material and as always ask the lovely people at your LYS. Now you are going to need yarn for those needles. For size 4 to 4.5 mm that would be a DK, Worsted or Aran weight yarn. It varies but the ball band will give you a needle size recommendation. Choose a yarn of good quality. 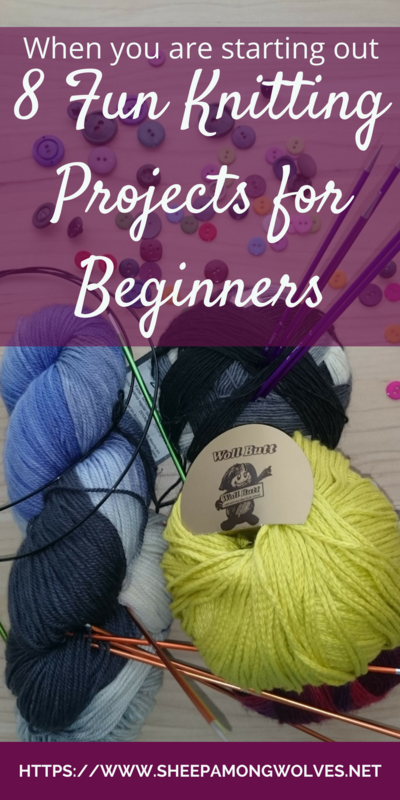 Even if you are a beginner and your first projects may not be masterpieces you still deserve to knit with yarn that is enjoyable to use and to wear. You will be touching and handling it a lot. And good yarn doesn’t have to be expensive. Some Drops yarns are really good and low priced, for example. Cascade 220 (*) is also a nice yarn at an affordable price. But there are many more to choose from. I would suggest choosing a yarn with high wool content. They are not too slippery, easy to handle and have some flexibility and memory. They can be blocked (not like acrylic yarn) and it’s easy to learn the basics with them including how to weave in ends (slippery yarns are difficult). Don’t use yarn with a halo or “fun fur” – at least for a while. 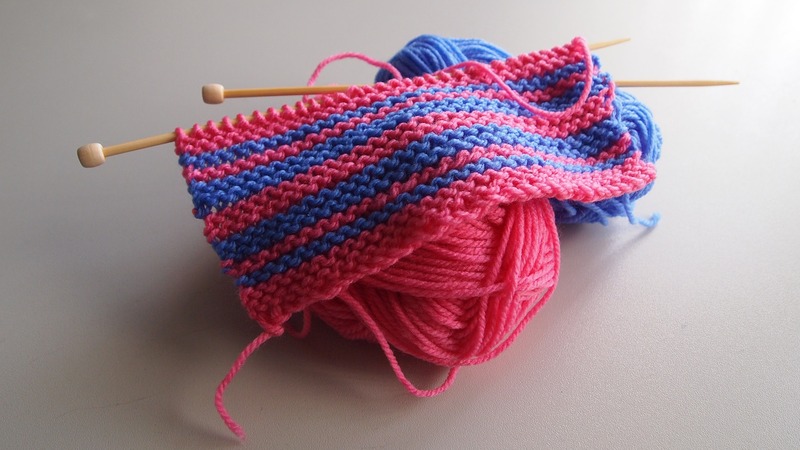 You should learn to read your knitting and knit without dropping stitches first. Mistakes are much harder to see and fix with yarns like that. Some colorways also make it difficult to read your knitting: barber pole striped yarn (*) (even though it can be very pretty) or very dark colors for example. When in doubt ask your friendly neighborhood LYS employee. This may seem less obvious but buying a good pair of scissors meant for cutting yarn and thread will be a good investment. These scissors are often small and pointy, so you can cut even in tiny spaces (like some seams). And which is very important they can yarn cleanly. The ends won’t fray and the yarn doesn’t lose its integrity because you were hacking or sawing through it instead of cutting. You will sooner or later have to weave in some ends. Or sew up a seam. Or even attempt grafting (it’s not as hard as people make it out to be). That’s where the tapestry needle comes in. They are usually blunt and have a big eye (compared to regular sewing needles). And they come in various shapes, colors and sizes. Get a set of at least two needles of different sizes and you will be set for a while. The straight ones will do fine. The ones with the bent tip I find especially useful for sewing seams. I’ve been using the Clover Darning Needle Set for a very long time and am very satisfied with them. You can get them on LoveKnitting (*), Craftsy (*) or Amazon (*) and probably hundreds of other places including your LYS. You should get yourself a tape measure (*) (you may even get one for free from your LYS if you buy there, some give them out as presents). If you stick to knitting you will likely own a couple of these in the future. Mostly because you can never find one when you need it. I mostly use a retractable one. I’m lazy when it comes to tidying up. I’m happy if I don’t have to roll up the tape measure 150 times per day. But keep in mind: You may have to replace your tape measures at some point down the road. They can dry out and break off or even worse stretch out over time. Also get yourself a good ruler at least 15 cm (6 inches) long. Or a dedicated gauge measuring device (*) – these often come with a needle gauge and are twice as useful. You will need those as soon as you want to use a pattern to knit an item that needs to fit. You can read more about gauge here. A good knitting book that explains all of the basics to you. 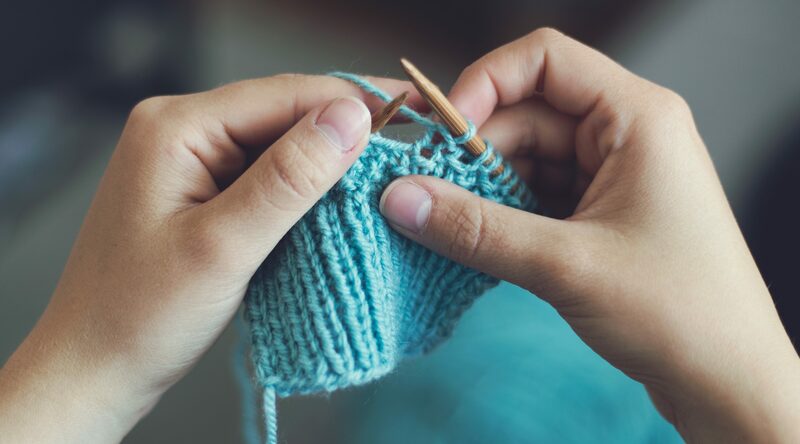 You can learn knitting well just by using Youtube or doing a google search. But especially at the beginning, it’s nice to have a book where you can look things up. How does this cast on work again? 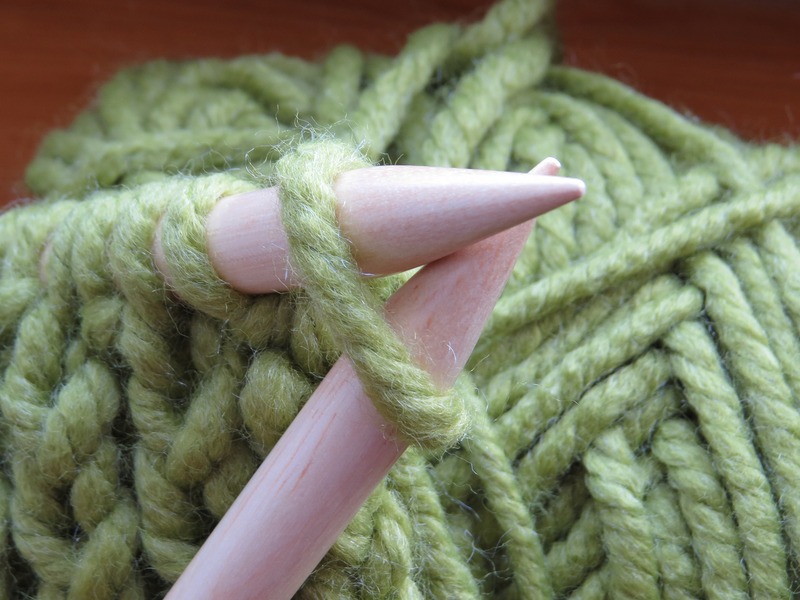 How do I bind off? Can I do it in some other way? How do I decrease or increase and why are there so many different ways to do it? Vogue® Knitting The Ultimate Knitting Book (*) is still on my to buy list. Unfortunately, I haven’t read it yet but everywhere people keep saying how good it is. From what I can tell by the preview and reviews on blogs alone I would agree. You might also find a project bag (*) useful. You can keep all of the things you need for your project in it and keep it all contained. Also, the yarn won’t entangle with other things inside your purse. Stitch markers (*) are useful if you are following a pattern where you need to do something different (like increase, decrease or some other fancy knitting thing like knitting through the back loop) at certain points or intervals. They also make it easier to count stitches. When I’m casting on I like to place a stitch marker for every 20 stitches I cast on. 20 stitches are easier to count without making a mistake than 287. There are different types of stitch markers. I mostly use ring markers (*), but that is just a personal preference. Some stitch markers are more like clips (*) and you can open them. Those are great for marking special rows and can help you count those, too. Some people like to use needle point protectors (*). I mostly use circular needles so I’ve never needed them but if you knit larger projects on single point needles these would be really useful. Row counters (*) are very useful. Sooner or later you will need to keep track of your rows. So you can repeat it for a second sleeve, sock or the backside of the sweater. Or so you can increase and decrease at the correct time. Or you may even have to follow a chart. For all of these things, you need to count your rows (it’s often easier than reading your knitting). You can get yourself a simple mechanical one (I’ve used this one (*) a lot), a simple digital one (*) or even an app for your cell phone. At the beginning, a simple mechanical row counter will do. I mostly use an app right now that lets me keep count of different things in one project at the same time and can also handle pattern repeats. If you don’t want to buy a row counter, you could also just keep a tally sheet. But make sure you write down what you are counting and that you don’t lose it and that it’s always with your project. Have you already begun knitting or are you still considering? Which tools did you have when you started out? What would you advise beginners to get? Please let me know in the comments below.